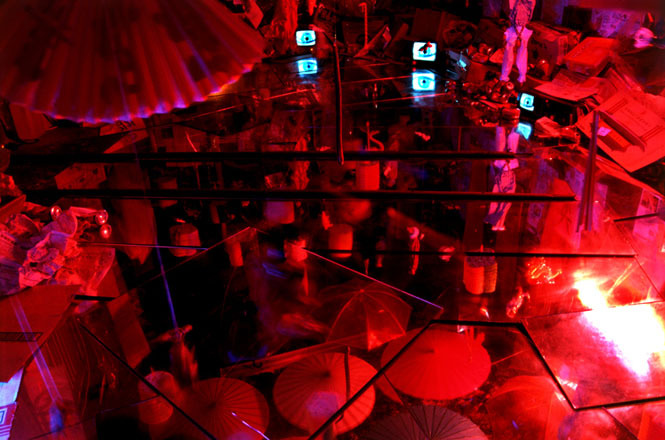 A sculptural installation as a remake of the film 'Blade Runner' (1982). 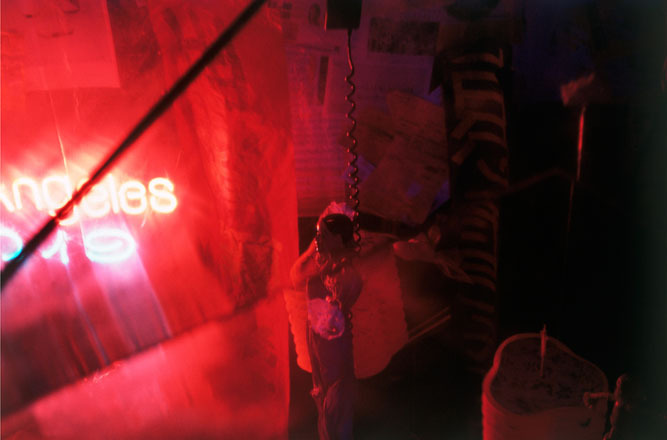 The viewer enters laying face down on a metal box, wheeled on rails by a punk attendant. 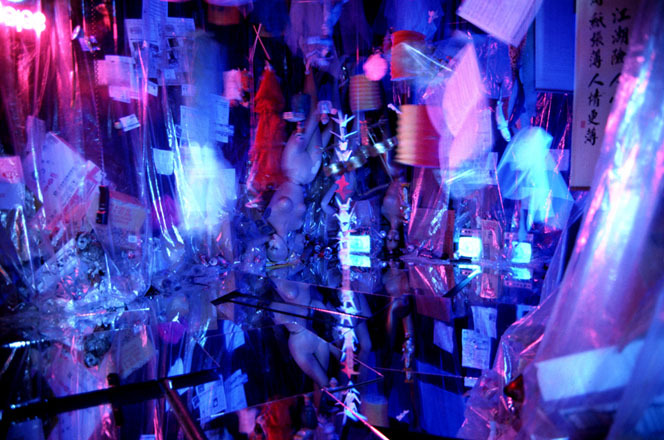 Inside the floor is covered in sheets of mirror, through which the viewer experiences the work. 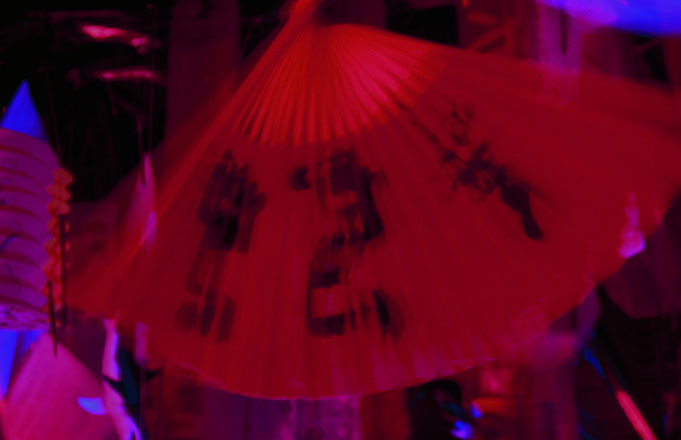 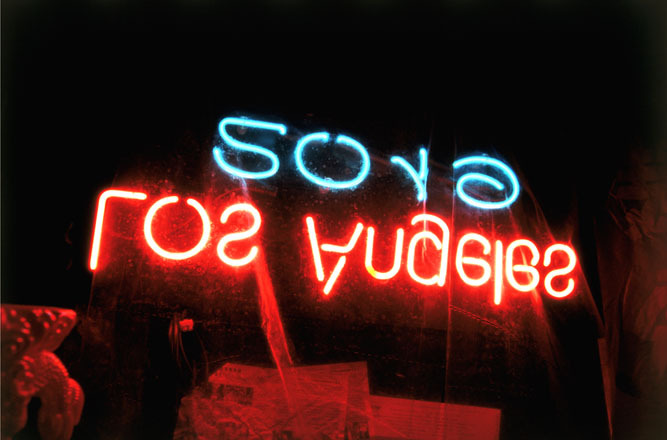 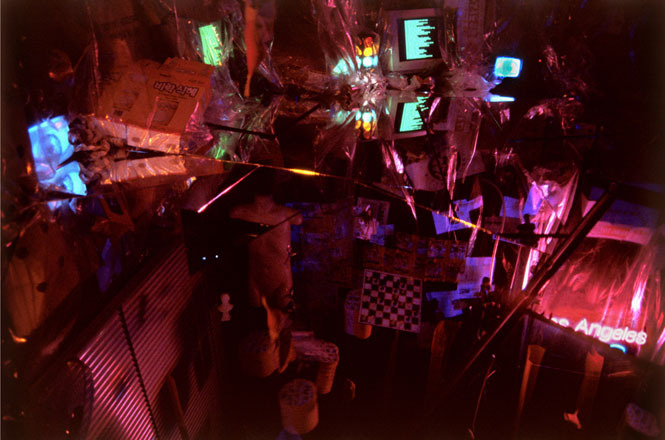 Hanging, upside down, from the walls and ceiling are an assemblage of props, eastern ephemera and an inverted Los Angeles 2019 neon sign. 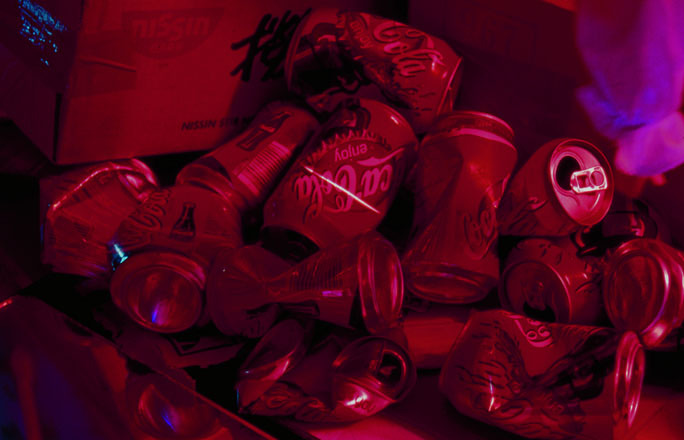 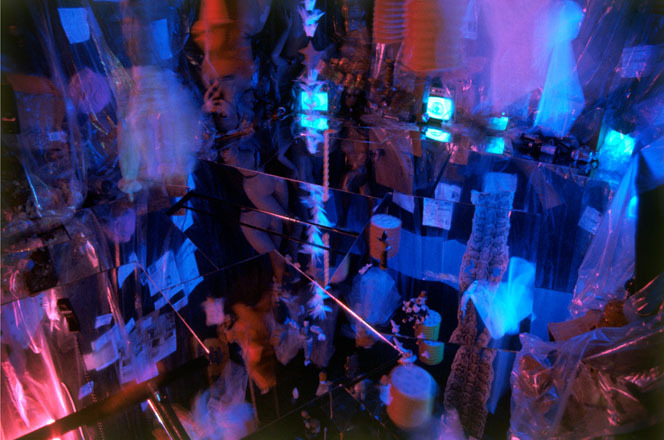 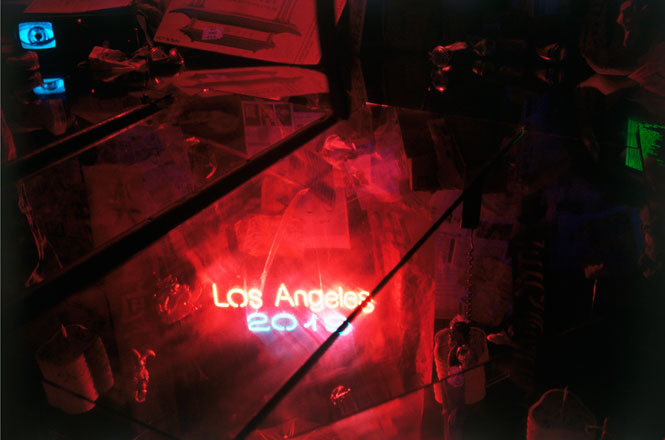 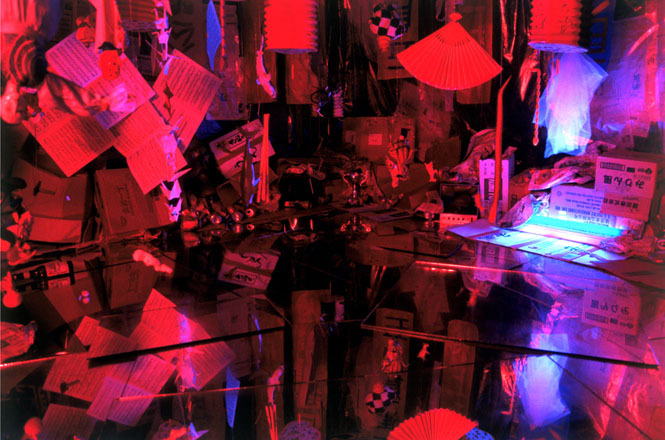 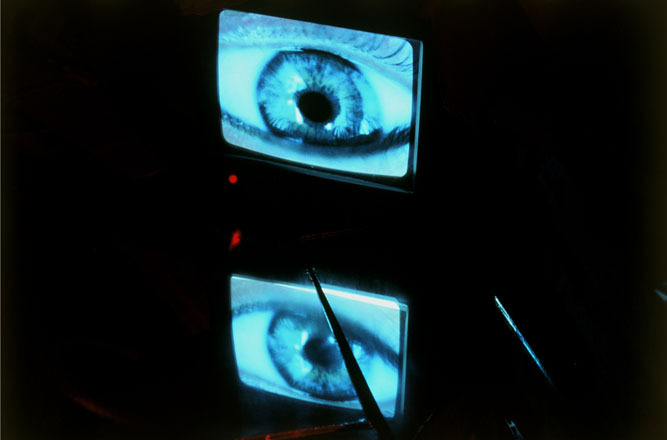 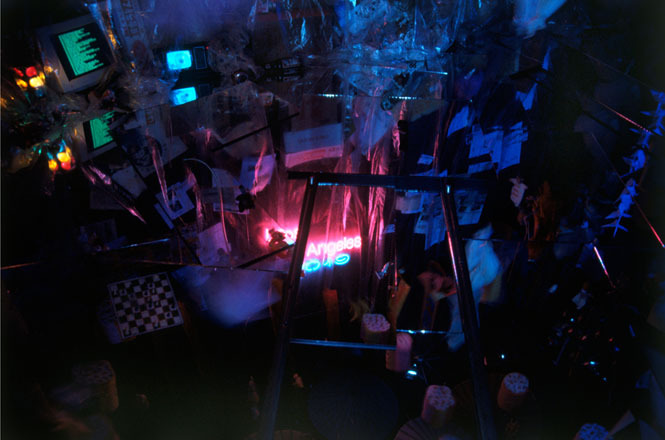 Featuring flashing lights, television monitors, clouds of smoke, and a discordant ambient soundtrack, the piece includes nothing taken directly from the source film.